What fun is it to follow the herd? Isn’t it more intriguing to read a blog post spiced with just a hint of controversy? While most bloggers wax poetic on the benefits of guest posting, both from the writer’s and publisher’s point of view, OddBlogger Isabelle demonstrates the fun of creating linkbait by taking the opposing view – and Abhi Balani ends up accepting a guest post in spite of himself. Granted, you popped up with a “Would you mind sharing this post?” by way of introduction, but the fact is, after reading the post, I didn’t mind sharing it at all. Your content interests me enough to provoke a comment or two that is not entirely self-serving. And rather than write an entire blog post in the comments section, rebutting your “4 reasons why you should not allow guest blogging on your site,” I feel challenged – nay, morally obligated – to offer you a guest post in response. Rather than try to bend my personality to match yours, I will gamble that, as with Siskel and Ebert, a little controversy and a fresh voice may bring you a few of my regular readers – and they may discover their own reasons for bookmarking your site and sticking around. 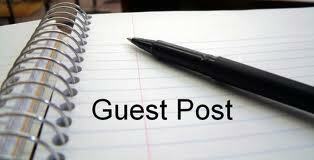 In turn, some of your regulars may wander over to my blog if they enjoyed my guest post on yours. Of course, it’s up to you to read this post before publishing it, to ensure that nothing I’ve said is likely to alienate your readers. Assuming you deem it worth the risk and give me my byline where it’s due, I doubt even a little alienation will destroy your blog or your following. With any luck, it will be a win-win situation for both of us. Bloggers need a constant flow of fresh, relevant, well-written content to give readers and search engines a reason to keep visiting. I’m not an “SEO guru,” but I think I know how to write interesting, engaging content. I know how to construct an index, which is basically a book’s “search engine.” To do that, you think to yourself, “If I were a reader who really wanted to find the information contained in this post, what words would I look for?” Of course, if you’re only courting the search engines, I gave up speaking machine language back in the 1980s. You’re on your own with that. The flip side is that I can write on just about any topic. I wouldn’t be much of a technical communicator if I couldn’t. Even though I write fiction and that’s more the focus of my online presence, I’m an information developer by day. What I don’t know, I can research. What do your readers want to know? My motivation as a writer is a double-edged sword: Money or fun. Guess which this post is? Hint: I’m being “paid” in backlinks. The least you can do, if you’ve read this far, is to read my post, Good Goals Gone Bad. This article was contributed on OddBlogger by Holly Jahangiri .She is a technical communicator, social media analyticator, children’s book author, blogger, happy wife and mom living in Houston, Texas. Previous articleWhat is Standing in the Way of Your Blog’s Success?